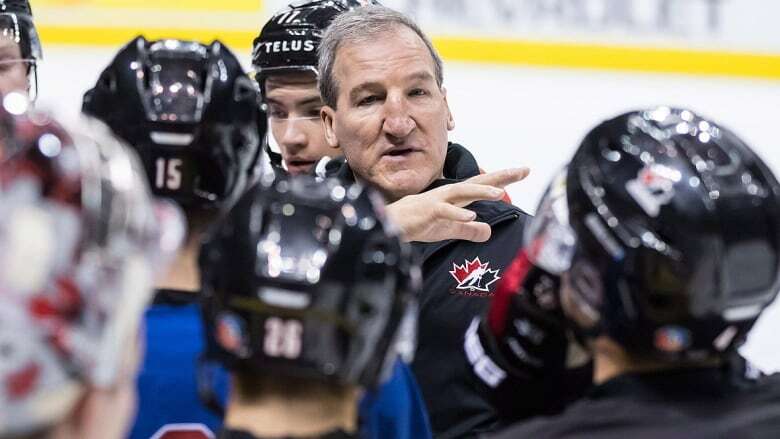 For head coach Tim Hunter, honesty and patience are the keys to getting the best out of his players on Canada's junior hockey team, which entered Monday night's final preliminary-round game against Russia with a 3-0 record. For head coach Tim Hunter, honesty and patience are the keys to getting the best out of his players on Canada's junior hockey team. "I've learned that patience really pays off," he said from Vancouver, where the Canadians were 3-0 at the under-20 world tournament entering Monday night's final preliminary-round game against Russia. "I believe in the group, I believe in the personnel, I believe in the system they're trying to accomplish." Hunter's system is working — three games into the tournament, Canada remains undefeated and is improving in the areas he's identified as needing work, including specials teams and the performance of some young athletes. The Canadians went into Saturday's game against the Czech Republic 1-for-8 with the man advantage, but emerged with a pair of power-play goals. "I told you guys it would get better," Hunter told reporters after the 5-1 win. "We were patient with it. They got better because we were patient with them, we stuck to what we believed in." Days after Hunter publicly critiqued 17-year-old Alexis Lafreniere and 18-year-old Joe Veleno for their play, the pair stepped up on Saturday. "It's a learning process for these guys to figure this out," Hunter said. "And all we do is communicate with them and we're up front and honest with them and treat them like men and they give it right back to you in spades." "He's a really good coach," he said. "When you're doing something wrong, he's going to tell you. And when you're doing something right, he's going to tell you, too. I think he's a really honest coach and it's really nice for the players." 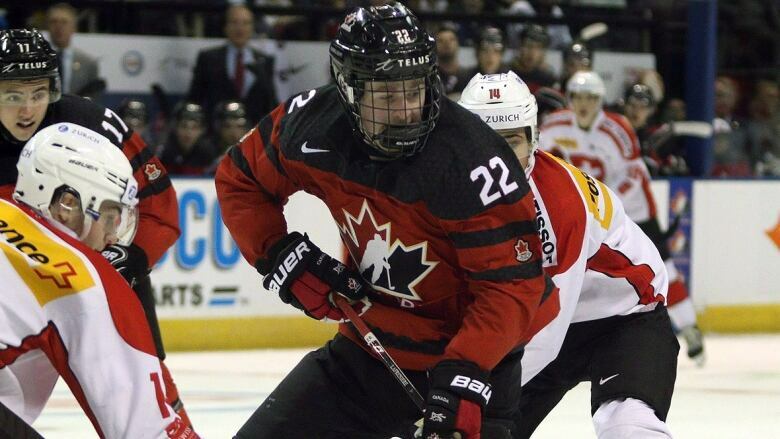 Canada's young athletes love having Hunter as their bench boss, said defenceman Ian Mitchell. "He's very intelligent and the message that he sends out to his players is very clear. In the room he's very concise and he really gets the boys ready to go before the game," said the Chicago Blackhawks prospect. Hunter played 815 regular-season games in the NHL, many of them with the Calgary Flames. Mitchell grew up in the Edmonton suburb of St. Albert and knows all about his coach's role in many storied battles of Alberta, including a memorable fight with former Oiler Dave Semenko. "It's kind of cool to have a famous NHL player as your coach," the 19-year-old said, adding that he expected a noted former Flames enforcer to be less calm on the bench. "I look back at my coaching career and I probably should have gone back and became a head coach a lot earlier," Hunter said this week. In 2014, he was appointed head coach of the Western Hockey League's Moose Jaw Warriors, a post he still holds today. While other coaches may try to get in their players' heads to get them fired up, Mitchell said he always knows where he stands with Hunter. "You know what you're getting from him and he keeps it pretty simple," he said. They all had real good comments. They all know where we're heading, they all know we need to improve. And it was a great conversation," Hunter said. "That's when you have a family, when guys can hold themselves accountable and check their egos at the door." The communication wasn't always smooth, though. "Pat comes in and he swats the five-gallon Gatorade bucket like it was a cup across the table. And we were like 'Oooooh,"' he said. "And then he boots this [50-gallon garbage can]. And I'm looking at him and he boots it and it didn't move. And then he leaves the room and didn't come back. And I'm like 'wow.' And then I go over and look in the can and it's half-full of cement." It wasn't until years later that Hunter learned Quinn had nearly broken his toe with that punt. He doesn't plan to emulate the move any time soon. "You have to rattle their chains now and again," Hunter said, "but I'm going to make sure I'm not kicking a can full of cement."